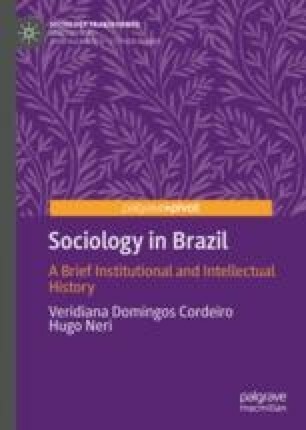 Interpretation of the Brazilian reality is much older than the institutionalization of sociology. Since the end of the nineteenth century, the self-taught, dilettantes, and intellectuals from other disciplines have been publishing their views on contextual topics, such as the formation of the nation-state, identity, and racial miscegenation. This “social imagination” thought critically about the Brazilian reality. Proto-scientific writings appeared under the influence of both culturalism and positivism. The culturalist approach influenced further works and established a tradition called Essayism, which creatively combined literature, history, and sociology, whereas positivism waned in importance across the decades. These first “social imagineers” envisioned many of the issues further worked on by sociology in Brazil.